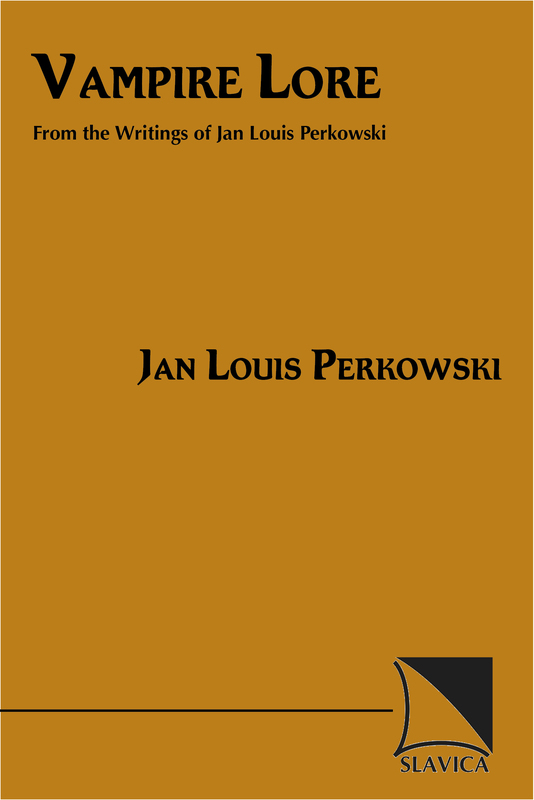 This omnibus volume collects under a single cover the entire oeuvre of writings by Jan Louis Perkowski on the vampire theme in mythology and folklore, including his three previously published monographs (Vampires, Dwarves, and Witches Among the Ontario Kashubs, 1972; Vampires of the Slavs, 1976; and The Darkling: A Treatise on Slavic Vampirism, 1989), in addition to 18 previously uncollected articles on the subject, one newly written for this volume. As Bruce McClelland notes in his Preface to the volume, in the folklore of the Slavs, the vampire plays a specific role in a broader system of folk belief. Where in the West, the vampire is utterly monstrous, the symbol of pure evil and darkness that is nevertheless romanticized and eroticized, its moral status is more nuanced and ambiguous in the Slavic conception. Yet the ancient Slavic folkloric vampire represents the historical basis of the pop cultural vampire about which movies, television shows, and video games are still being profitably made. Some of the materials here are enormously useful because they reveal historical stages in the conception of the vampire that are quite different from what most would know about the vampire who are familiar only with the Western literary tradition. This corrective aspect of Perkowski’s Vampires, which exposes a tradition directly linked to Balkan or at any rate Slavic folklore that follows a path that is quite independent of the 19th-century literary/metaphoric notions of the vampire, has had a difficult time getting traction in popular consciousness in the West, which suggests an entrenchment of the Romantic and Gothic traditions, and a concomitant resistance to correction by legitimate ethnographic research.